A complementary podcast to this post is live on Richard Bliss’ Funding the Dream. If you read the following post, you should also read the accompanying piece I wrote after shipping Euphoria. By far the number one question I’ve been asked about my Euphoria Kickstarter campaign is, “How on earth did you provide free shipping worldwide?” Today I will answer that question in detail for those creators who are willing to put in the time and effort to provide their backers with the best possible shipping options available. Let’s get something out of the way: No shipment is actually free. When we say “free shipping included” on Kickstarter, it means that shipping is included in the price of the reward level (freight + individual package). This is important to keep in mind no matter how you do shipping–if you’re including $10 of “free” shipping to backers in the US, you should include that same $10 in shipments anywhere in the world (and then add the difference on top of that). Also, project creators, please keep in mind that shipping is a HUGE expense no matter how cost-effectively you do it, and you should price your reward levels accurately. Don’t assume that things will “even out” or that economies of scale will somehow kick in. They won’t. Not with shipping. Last, this post is specifically for US-based board game creators who are manufacturing games in China (we use Panda Game Manufacturing). I know that’s a very specific niche in the Kickstarter economy, but a lot of what I’m going to talk about will apply to creators around the world who are making and shipping anything, regardless of where they’re manufacturing it. Why am I writing this? Isn’t this a competitive advantage for Stonemaier Games? Why wouldn’t we keep this a secret? Well, nothing I’ll write below is a secret. All of this information is out there on the internet. I spend a LOT of time figuring all of this out, and despite this entry, setting up a worldwide shipping network will still take you a lot of time. Really, I just want to help other project creators make better projects to give backers the best possible Kickstarter experience. There is no reason that backers in Canada and the EU need to pay $40 shipping and customs on top of that. Not only is that bad for the backers, but it’s bad for the creators, because they’re missing out on lots of potential backers. Most of all, I’m sharing this because I wouldn’t be here if not for someone else who helped me. Back in the fall after the Viticulture Kickstarter campaign was over, I was struggling with the overall concept of international shipping (this is NOT something you want to figure out after a Kickstarter campaign). I had underestimated shipping by a lot, and I happened to mention the issue to a board member at my day job. I explained how I planned on using Amazon for fulfillment purposes in the US, but I couldn’t figure out a way to keep the cost per game down for international shipments from the US. In hindsight, it seems so obvious. But I really hadn’t thought of it at that point–maybe I was daunted by the idea of the logistics involved. But his idea had merit, and when I dug deeper, I discovered that it was a brilliant solution. I wouldn’t be here today without the sage advice of that board member. I’m not here to tell you what you should do, and I can’t guarantee that the following will save you time or money. But my hope is that it will be a step in the right direction for you. Good luck! When you’re composing your Kickstarter rewards and the overall composition of your game, you need to keep shipping in mind. I highly recommend limiting add-ons to (a) things that your manufacturer can include in the game box and (b) very limited rewards that you ship by hand. A lot of what I’m going to talk about below has to do with using Amazon’s fulfillment services. Amazon will only accept products with bar codes, so unless you have a bar code for every add-on item, you’re going to be stuck shipping tons of add-ons by hand. You will regret that decision, not just in terms of time, but also in terms of cost. I shipped hundreds of add-ons for Viticulture by hand, and although the wine glasses, corkscrews, sleeving, and autographs were cool, they were not a good use of time or resources. If you have a project that somehow hinges on tons of add-ons, be prepared with lots of boxes from Uline, because there are few fulfillment centers that can help you (especially if the add-ons aren’t bar coded). SMC stands for “Standard Manufacturers Codes,” whereby the three letters by themselves are your SMC. SKU (stock keeping unit) is the code for each individual product. 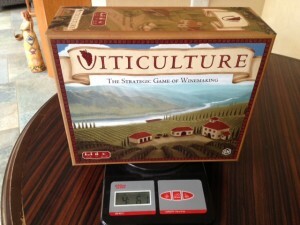 So, for Stonemaier Games, STM is our SMC and STM100 is the SKU for the retail version of Viticulture. You can learn more about this part of the product packaging by watching this video. To dig deeper into product composition and the impact it has on shaping your Kickstarter campaign, Richard Bliss and I have a 20-minute podcast on the topic here. Once you’ve determined what you’re putting in your game box, it’s time to determine how you will incorporate shipping into your reward pricing. The details of these logistics will be discussed later in this entry. I’ll break down this section by location. United States, Canada, and the European Union: You’re going to be shipping pallets of games from your manufacturer to several different locations worldwide: Amazon.com in the US, Amazon.ca in Canada, Amazon.de in Germany, and maybe Amazon.co.uk in the United Kingdom. The freight shipping cost includes trucking the games from the factory to port, ocean freight, customs, fees, and taxes, and trucking to a fulfillment center based on the manufacturing cost per unit. The freight cost per unit will depend on a number of factors–size, weight, location, value, etc–so you’ll need to figure out those numbers for your project. If you’re making a board game similar to Viticulture (11×8.5×4 inches, ~5 pounds), each game will cost about $5 in freight shipping costs to get your game from the manufacturer to the front door of Amazon’s fulfillment center. From there, your individual shipping cost from Amazon to each individual will be approximately as follows. You can click on the links to go to the fulfillment pricing guides for each location (you’re looking for “multi-channel fulfillment fees” for “standard size non-media items). These prices will vary based on current exchange rates. DISCLAIMER: These are sample amounts based on shipping Viticulture, a 4-pound game, at a specific quantity (2500 games spread over the various areas) in early 2013. Please get exact quotes for your campaign from your manufacturer (trucking from the factory to port), freight shipping company (ocean freight, customs, import fees and taxes, and trucking from port to Amazon), and Amazon (multi-channel fulfillment, not “orders placed on Amazon”). Now, you may be looking at those numbers and thinking, “They are not the same, so why did you include free shipping for all of those locations?” Well, for Central Europe, I probably should have excluded them from free shipping. That’s a big difference. But for Western Europe, it seemed cleaner to me to include it with the US and Canada, and it made for a great talking point. I think we attracted a lot of new backers to the project by doing that. But realistically we probably should have charged $8 extra for shipping to Western Europe and $27 extra for shipping to Central Europe–each of those backers got a good deal, and I took a small loss on the units sent to Central Europe. There are other costs that go with these accounts. You will have to pay storage fees really won’t add up to much if you’re shipping most of your inventory as soon as it arrives at Amazon. Also, Amazon sometimes moves inventory around from one facility to another, pretty much at their whim (this is in the name of “optimization”). They charge you $0.50 per unit that is transferred to another facility. It doesn’t happen often. The overall key is to ship everything to backers as soon as it arrives at Amazon. (Note: If you intend to continue selling excess products through Amazon FBA after you’ve fulfilled your Kickstarter rewards and it takes a while to sell those products, you are subject to a larger storage fee for inventory that has been sitting at Amazon’s warehouse for over a year: $22.50 per cubic foot [credit to Dennis Consorte]). Despite all that, the great thing about shipping from within those territories is that backers don’t have to pay customs fees. You pay customs fees, and you pay them in bulk based on the manufacturing cost per unit, and it’s built into the freight cost I mentioned above. This is a GREAT service you can provide for your backers. Asia, Australia/New Zealand, Central and South America, Non-EU Europe (Norway and Switzerland), Russia, and Africa: See this blog entry for information about shipping to these regions. However, if you ship 2 games to one of those locations, the price doesn’t change much at all (about $10 extra). Consider that when structuring your rewards. On Euphoria, I focused on coordinating group buys so that the price per unit for each backer would be the same as any other shipment. Hence the “free” shipping worldwide. Amazon: Sign up for all necessary Amazon seller accounts and input the information for each different version of your product (on Amazon.de, change the language to English at the very bottom left of the home page). If you make a mistake, you can change any listing by clicking on it and choosing “relist” (a term that seems counterintuitive, but really it just means “edit”). All products you enter on Amazon will be available for sale on Amazon unless you choose release dates well in the future (at which point you’ll have already delivered the items to Kickstarter backers). Amazon may decide to review your listings for approval, so don’t wait until the last minute to enter the items there. Make sure your Amazon shipment settings are such that you’ll send all items to one Amazon warehouse, not split between multiple warehouses. You can change your settings using these instructions (thanks to David Chott for sharing that!). The more separate shipping freight routes your products take, the more you’re going to pay. Once your products are approved, you need to create shipments for each of them. This will take some collaboration with your manufacturer, as you will need to know the exact weight per game, the exact number of games per carton, and the exact number of games per pallet. Once you have that information, you can tell Amazon what you expect each shipment to be (this is an automated, step-by-step shipment creation process), and Amazon will provide you with the delivery address. That is the only way you can get the delivery address. From my experience, even that address will be inadequate for shipping purposes (it’ll be the name of the warehouse and the city, but not the street address), so you’ll need to follow up with customer service to find the true address. Amazon will also give you PDF labels for each carton of games and each pallet of games. Send those PDFs to your manufacturer along with detailed instructions about the pallets themselves, which must be 1200 x 800mm wooden pallets. Input the information for each product (each SKU). Note: On Amazon.ca, make sure to enter the “Manufacturer” value, even though it doesn’t appear to be a required piece of info. For questions about Amazon.de, I would recommend contacting Kathrin Freundl at kduschin AT amazon.de. She can help guide you through the process, and she can provide you with the booking form your shipping company will need to fill out well before your shipment is set to arrive in Germany. VAT: You will need to find an importer of record in the EU to handle your value-added tax (VAT) accounting. I thought that I needed to find someone in Germany since we sent Viticulture to Amazon.de, but that may not actually be the case–you might just need someone in the EU. Basically, the importer of record lets you use their VAT number so that you don’t need to register as a business in the EU. I looked into registering a business in Germany via a very helpful accountant by the name of Erwin Herzing (erwin.herzing AT kleeberg.de), and it not only costs about $1,000 up front, but you also have to pay for an accountant to process your VAT fees every quarter for about $250/quarter. That adds up fast and isn’t cost-effective at all if you’re dealing with the vast majority of shipments all at once. So how do you find an importer of record? I messaged all of my German backers and asked if any of them owned a business and would be willing to be my importer of record (I recommend you find your importer of record the same way). They handle the accounting along with their quarterly accounting, and I pay the VAT plus a small fee to them for the service. I also sent them extra games as a token of appreciation. Canadian Registration: You’ll need to register as a business in Canada if you’re shipping to Amazon.ca. This is a very easy and free process (thanks Canada, for being awesome!). Here’s the form you need. Manufacturer: You’re sending pallets of games to a number of different locations around the world, so you’ll need to tell your manufacturer exactly how many of each version of the game to include on each pallet. Your manufacturer will prefer for each pallet to remain uniform, but your numbers may require some mixing and matching. Make sure to send extra copies of each version of the game to all Amazon destinations, as you will likely need extras at some point for damaged/missing/review copies of the game. Panda Game Manufacturing offers the very generous option of shipping to up to 10 destinations directly from Panda. Your freight company is one of those “destinations,” but the others can be group buys in Asia or Australia/New Zealand. Shipping Company: Your manufacturer may recommend a few shipping companies. I used RIM Logistics (Saba at sabasolomon AT rimlogistics.com) to ship a few pallets to Amazon.de and Dimerco (Justin at Justin_Bergeron AT dimerco.com) to ship the majority of the games to the US [Update from the future: I now work only with Dimerco–it’s easier to work with just one company). Both companies are very helpful for startups that may need some extra guidance with the forms. I don’t get a referral fee or anything like that, but if you contact them, I would appreciate if you tell them I sent you. Two small tidbit to keep in mind about ports: When your game arrives at port in China, it will not ship right away. These companies keep costs down by consolidating shipments within the same containers (see The Wire, Season 2). So don’t be surprised if your pallets sit on the boat for a few weeks. Also, when they arrive at port in the US, allow for about a week for the games to pass customs. Sometimes it’ll happen much faster than that, but prepare for the worst. So all of the games have arrived at Amazon and have been processed–what’s next? You can enter each address one by one, but that will take forever if you have hundreds of backers. Rather, what you want to do is upload bulk shipment spreadsheets. I’ve uploaded the templates here for your convenience. Follow the instructions on each one, and when you’re done, save the document as a tab-delineated text file for upload. Only include the information you need. If something is optional, don’t include it, because you might enter it incorrectly and mess up the whole order. If there is any delay between creating the spreadsheet and uploading it, make sure you update the date. On the inventory page on Amazon.de and Amazon.co.uk, make sure you’ve enabled exports so that you can ship to the rest of the EU. You’ll need to use country codes for European shipments. Here’s a list of all codes here. Note that the United Kingdom’s official abbreviation for shipping is GB (Great Britain). Zip codes must be properly formatted. Be specific about what you want on your backer survey. Here’s what I put there: “If your US postal code starts with a 0, please enter the full 10-digit postal code (correct format: 01234-5678). If your international postal code has letters in it, please capitalized them. Canadian backers, please use a single space in your postal code and capital letters—no hyphen (correct format: T5T 5G7).” Despite those instructions, you’ll still need to review every zip code. Cross-check addresses to make sure you’re not off by one line on all cities, for example. To mitigate errors, upload spreadsheets in small chunks. Don’t do 500 at once–do 5 uploads of 100 addresses each. This will help you narrow down addresses in error. It is with these bulk shipments that you will encounter Amazon’s greatest fault: It’s really hard to search for specific packages on Amazon, and even harder to find addresses on the bulk shipment that are marked “error” (any shipment marked “error” does not go through and will need to be re-entered correctly). Amazon doesn’t tell you the order number for addresses in error for some reason (I’ve asked them to fix this). Instead, you have to cross reference every address that went through with the original spreadsheet until you find the missing addresses to resubmit. That’s why getting the bulk spreadsheet correct the first time can make a huge difference. You might be wondering about the quality of Amazon as a shipping company. Overall I’ve been very pleased with their speed, and fairly pleased with their packaging. There have been a handful of games that weren’t packed very well, resulting in dents to the box, but I send replacement parts out and everyone is happy. Whenever you hear from a backer who has a damaged box, make sure you get them to send you a photo of the game in the box with the original packaging so you have something to share with Amazon for reimbursement. For all the individual shipments to non-US, non-Canada, non-EU locations, I’d recommend using USPS. FedEx and UPS cause trouble for some backers, particularly in South America. Backers will ask you to write that the game is a gift on the customs forms, but legally you cannot do that. You can, however, select “other” and write that it’s a Kickstarter reward. It’s somewhere in between a gift and an order. After your games arrive at Amazon, they will take between 3-7 days to be processed and entered in the system. After that, you can start submitting addresses. Amazon usually takes 1-3 days to ship to those addresses, and your backers will get a notification from Amazon at that point. We’ve covered all of the ways you’ll get your products to Kickstarter backers, but what about retailers and distributors? Regardless of whether you go through Aldo or directly to a distributor, the distributor will receive a 60% discount off MSRP. Of your remaining 40%, if you work with Impressions, they will get 18% of that 40% as their fee. So if the MSRP on your game is $100, Impressions will receive $7.20 and you will receive $32.80. How many retail copies of your game should you order? That’s up to you. If you listen to Aldo’s interview on the Funding the Dream podcast, you’ll hear him recommend that new publishers with new games order no more than 500 retail copies of the game. I think that’s a safe recommendation. With Viticulture, we allocated 650 copies to traditional distribution, and within a few days, distributors had placed 1,000 orders for the game. So we underestimated demand. It’s really hard to predict how well your game will do, so err on the side of caution. Obviously there’s a lot going on here. Although this is a comprehensive guide, it’s still going to take some research on your part to get everything set up properly for your product. You’ll have to figure that out on your own. If there are any overarching questions that can benefit everyone, please ask them in the comments and I’ll add the answers to this post. A complementary podcast to this post is live on Richard Bliss’ Funding the Dream. Thanks for the useful advice, hopefully other Kickstarters will take the advice and we Europeans can buy more games as a result. I hope so too, jenff! @Ams I’m glad you said something–I had “Western” and “Central” switched. Western Europe really isn’t all that expensive–it’s only $8 more than the US. I’d like to avoid distributing costs among all backers–rather, I’d like each backer to pay for exactly what they’re receiving–so in the future, yes, I might charge the $8. But I’m not set on doing that. I did not lose money from the Western European backers. I probably did take a loss from the Central European backers, but there aren’t many of them. I’m glad that Spanish backers did not end up costing you an arm and a leg :o) As an EU national, I found Amazon’s definition of ‘Western’ and ‘Central’ Europe a bit confusing, specially because I was under the impression that the highest rates were to ‘Western’ Europe. (Germany, for instance, would be classified as Central European by any measure – except the one from Amazon, it seems). What I wrote in the KS thread was mostly under the —wrong— assumption that shipping costs to Spain, Portugal and perhaps France were much higher than to Germany or other countries in the vicinity, so most of it does not apply. Setting up a local distribution chain in the countries Amazon classifies as ‘central’ would probably be _way_ more work than it’s worth (my knowledge of the subject is limited, but most of the countries are smallish and mountainous, which probably drives the costs up). I’m curious, however, on what drives up the freight cost for the ‘central’ countries. Distance is not the defining factor – Spain, Italy and Portugal are more distant from Germany than from most of these countries. I imagine it’s a combination of the relatively underdeveloped main road routes and, for some of the countries, the role of the Alps as a natural barrier. (There’s a backbone of major road routes spanning across the EU, the E-routes, which is much denser in the ‘western’ countries; besides, almost no roads in the E-route network go through the Alps). Great resource – I really hope that all KS project take very good note! Thanks for taking all the time to figure this out, and specially for sharing it with the larger KS community. andvaranaut – That’s a good question about central European countries. I’m not exactly sure what drives up the price for those countries. It’s a big jump, though–.80 Euro per 100 grams versus .20 Euro. That adds up fast! Also, I found it very interesting that the main factor driving up the ‘expensive’ shipping costs is not the base rate (it’s just 2€ more) – it’s the surcharge for weight reasons (if what you ship weights over 2kg / ~ 4 pounds, it’s about 12 € more – over $15). and thanks for the Guide in general, i am also a game designer, and I was thinking about starting a kickstarter campaign, so such a shipping guide is a gold. Thanks Filip, I’m glad it was helpful. I’m curious–obviously free shipping is the best, but would $8-$10 added shipping been a deterrent from backing Euphoria? I ask because of the price difference between some of the countries as you can see in the above post. Fantastic post, great service to the community. Woah. I am in the midst of designing a board game that I hope to Kickstart. Your articles have really given me a reality check on exactly how huge this entire process is and how much work will go into the production even after files are sent to the printers. For some reason in my head I imagined sending files off to China to be made and not really worrying about it. Thank you so much for all of your articles and the amazing insights you’ve given to the community. These articles are invaluable. Jamey – This is one of the most useful, detailed, practical posts for game design startups that I’ve ever seen. People talk about content being king on the Internet; this is king-level content. Transparency, contact information, details of all types… Thank you so much for sharing this with the world! Thank you for sharing Jamey. It would be really hard to find someone who did this whole process as good as you. It sounds extremely complicated especially with establishing reputable contacts like an importer for VAT. Now I’m beginning to understand some of the depth and why you needed to hire an accountant. Quite extensive research; how do you have time to design, work your non-profit, manage contacts, network, blog, take care of your cats, eat, and sleep? I’m guessing your cats have to take care of you! I’m passionate about designing quality boardgaming products to share with people around the world but as a fellow introvert (yes I follow your blogs), this feels overwhelming. I’m sure this is much more involved than this ‘cliff notes version’. I’m curious how many people are on your team to assist with all this logistical management. The introvert in me actually kind of enjoys the puzzle of logistics–so much of it is done at my desk behind a computer. I wish I had a whole team of people! It’s just me (my business partner Alan is more focused on playtesting, brainstorming, and helping out with shipping individual packages when needed). It’s amazing how you managed to disseminate a product all over the world, from the comfort of your home in St. Louis! Shipping is so important in the age of the internet, yet I feel it’s hard to trust shipping companies of which you know only the website. Thank you for sharing these crucial informations! This is a fantastic version 2 of your first shipping article Jamey. Thanks so much. 22 backers in Asia who are receiving at least one copy of the game (2.4%), 23 backers in Oceania (2.5%), 682 in the US (75.7%), 51 in Canada (5.6%), 114 in Europe (12.6%), and 8 in Brazil (1%). How have those percentages for Euphoria changed since you leveled the costs for international backers? stats that show a reduced % of US backers would support the idea that the international audience is a great source of backer / sales growth. The way i see it – you should be able to surf the KS buzz wave for a while, but not for long. Kim–That’s a great question about the new percentages. I’m not quite sure yet, but given that there are 200 backers in Germany alone for Euphoria (and 300 in the UK), I think we’re going to see those percentages change. I see what you’re saying about the “buzz engine,” and in hindsight, we should have ordered more retail copies of Viticulture. We don’t want to make that mistake with Euphoria, so we’re probably going to order about 3000 retail copies on top of the 6000 Kickstarter copies. I agree that the KS buzz wave cannot be ridden forever, but one way to reinvigorate it is with expansions. Thats great Jamey – if you can’t back your self through normal distribution then who can? 3000 sounds good and I wish you luck through it. In my view there are too few indy game developers using Kickstarter to effectively establish themselves in the normal publishing, distribution and brick and mortar store sales space. The more of that there is, the less people will be able to criticise KS games as being of inherently lower quality than old school publisher vetted ones. Martin Wallace has also agreed to provide me a regional breakdown of backers from A Study in Emerald which also had one global price for the game inc shipping. I’ll share that data here when they have finished compiling it. Have you ever investigated the non-existing shipping charges by The Book Depository (www.bookdepository.co.uk or http://www.bookdepository.com)? They have a long list of countries (including Australia where I live) that they do not charge to ship to. I’ve managed to buy books brand new books for under AUD$5 and not been charged anything extra. I’ve no idea how they do it and I don’t know know whether their process is even applicable to your situation. I know that a number of online bookshops (eg http://www.abebooks.com) incorporate the book’s weight into the book price so that it appears that there is no charge for shipping, but The Book Depository seems to be in a league of their own. Even compared to Amazon who state it’s cheaper to bundle all your items together to make it cheaper, while TBD sends each book individually. Thought there maybe something there to investigate if you haven’t already. Something else that may be useful, orders from England and parts of Europe (about a fortnight or sooner) take much less time to arrive in Australia than from the USA (occasionally three weeks but usually much longer – sometimes so bad you’d think it was coming by surface mail!). This may indicate a better, and possibly proportionally cheaper, means of shipping. Very interesting. I think that books are in a category of their own, though. Like, with USPS, you can ship books and CDs via “media mail” really cheap compared to pretty much any other item. I’m not sure why, but that’s the pricing model I’ve seen. I think Amazon fulfillment centers are starting to be open to the idea of shipping internationally–previously that wasn’t possible. That’s a good tip about shipping from the UK to Australia. I was always curious as to how these guys https://www.365games.co.uk/page/delivery manage to charge a flat 2.99 GBP as shipping to most countries around the world (and free shipping to UK) for every board game regardless of size/weight. Almost all other EU online shops (US shops have shipping charges that in most cases are greater than the game price) i have checked, charge a minimum of 12-20 Euros for a standard 30×30 box and of course additional charges for bigger/heavier games. great work. You write you calculate 5$ per game for shipping from China to Amazon. Can you break down these shipping costs. My experience in germany is that the costs port to port are equal to the costs port to city . Is that the same with amazon ? Martin–That $5 includes transportation from the manufacturer to the port in China, freight shipping fees, the bill of lading, customs, freight trucking to Amazon, and a few other smaller fees. Those numbers vary based on the number of games and their size and weight, but $5 is the average of what I saw for Viticulture. Thanks for the great advice! So awesome! I was directed here by Michael Mindes of TMG, let’s hope City Hall gets back on track soon. Ed–I’ve considered it in countries that I currently don’t have good access to–namely, Australia/New Zealand. Or you could try co-publishing, where somebody in a different territory puts money up front for a few hundred copies at a very good price, and agrees to distribute your kickstarter funded copies as part of the deal. This is awesome, I’m so excited and thankful to see you creating this guide and sharing this information with folks. Having gone with Game salute as our publisher thankfully *I* don’t have to worry about these things, but I think this will be really really helpful to other Kickstarter project creators and I just love the idea of being able to offer fair pledge levels to international backers (GS did the best they could for us but still had to charge a little for ours- $10-20 extra, much to my dismay). Thanks for all the transparency and another great blog entry! Angela – I am investigating using Game Salute now. Can Game Salute solve the VAT problem for Kickstarter backers? I emailed GS over a week ago and I am still waiting to hear from them. Thanks again for this amazong service you provide! I backed Euphoria in no small part, because of this. I am from Germany by the way. Wow, this is really, really useful info Jamey! Thanks so much for sharing! I wish I thought ahead to multiple freight shipments to various Amazon-s when I was fulfilling Tenra Bansho Zero a few months ago, that could have saved me a lot of money… but man, dealing with all the freight is a huge headache. The mental/organizational overhead is such that for me (with a 4.x-lb book, so pretty much in the same shipping price category), with an intense 10+ hour-a-day day job, it’s not a viable option for most locales. Anyway, thanks a lot. This is a lot of mind-blowing info to chew on! Hi Andy, I’m happy to help. Sure, if you test the waters with Canada, it’s certainly worth a try. Good luck, and let me know how it goes! This is awesome! Thanks so much. I’m the producer of Board to Death TV and we are doing a video review of viticulture soon! Also we will use this article for our game on Kickstarter right now: CarmaRace. Thanks so much !! Thanks Luca! I’m glad it was helpful. Your article is great and helpful, really. Do you know what it takes to do a business registration in Australia when you are not a resident there ( you are based in USA for example)? is it worth it? How much money? My suggestion would be to contact an accountant out there. Go to your favourite search engine and look for “Chartered Accountants Australia”. If it’s like a Brit setting up a business (or owning property) in the US, you will have to set up a trust to actually own the business. Stumbled upon this article and I have to say I’m quite impressed. Here’s to hoping more Kickstarters take advantage of this advice — the spike in USPS shipping costs since I started backing projects has caused my backing of Kickstarters for physical goods to take a nose-dive, as I seem to face nearly as much in shipping costs (to Canada, nevermind elsewhere) as I do for the project itself. Much respect for doing a solid for both creators and backers with this write-up. as an avid boardgame kickstarter based in the UK thanks for putting this article and all your thought into this as anything that means I can get games for sensible shipping costs is golden. I just hope you get the rewards due to you for working this out and hoppefuly it becomes the norm. Thanks Barry, I hope other people work this out too. I think in the future I may need to charge about $8 for shipping to most of the EU, but because of Amazon.co.uk and Amazon.de, shipping will remain “free” (or built into the cost of the item) for the UK and Germany. Didn’t know they actually charge that much for shipping nowadays… We urgently need some more competition in that sector it seems! You didn’t find any provider with a worldwide flat rate? So far USPS has the only competitive worldwide flat rate that I could find…that’s why I use Amazon fulfillment. Jamey thanks so much for this article and all of the others in your kickstarter series. As I am preparing to launch my game your site has become an invaluable resource. I am wondering if you think that setting up Amazon Fulfillment in UK and EU would be worthwhile with a smaller project than Euphoria? Did you find that shipping to multiple destinations from China was more expensive/complicated? I hope my game has enough backers to merit building similar distribution channels but wondering if I should just go with US and Canada unless my campaign really takes off. Once again thanks for all the insight. Thanks Tim, glad to hear it’s been helpful. To answer your question, I think it would be worthwhile IF you are able to get a VAT connection for Europe like I discussed above. You need to make sure you have that before you go into the project, because if you don’t, you can’t send a pallet to Europe. But let’s say you get that connection. The big unknown is how many backer you’ll get in the EU, right? What if you only get 12 backers in Europe? That’s not enough for the hassle–it’s not even enough for a partial pallet to Amazon.de. If that’s the case, then you would just ship them from the US. You’d probably break even or lose a little bit of money on those games. But it’s only 12 games, no big deal. Conversely, you’re making your project much more accessible for European backers. If you have an attractive, appealing game with reasonable EU shipping, the chances you’re only going to get 12 backers are next to nothing. So say you get 100 EU backers–then you’re absolutely set to send a pallet to Amazon.de. I think the key part of your comment is, “…unless my campaign really takes off.” Instead of waiting for your campaign to take off, set yourself up for success from day one by arranging a better shipping solution for European backers. Instead of waiting for success, be proactive and MAKE it a success. Shipping is a big part of that. Just please make sure you understand what goes into the shipping process. To execute what I’ve written above is daunting. It’s absolutely worth it for you and your backers, but it’s no small task. If you’re not up for it, bring on a friend who is great with organization and logistics. Not just Europe! As Kickstarter gains international uptake don’t forget Australia and NZ – people down here get disproportionately annoyed at being left out. I agree with Jamey completely – if the game fits the market at all, why on earth would you want to add roadblocks to the market paying you at your highest possible profit margin for it? Add incentives (comparatively low cost shipping compared to other kickstarters) and the whole thing spins around the other way. I think Viticulture (with higher international postage charges) had about 25% international backers whereas I think Euphoria (with flattened out international postage costs) had closer to 40% international backers, correct me if I’m wrong Jamey. The limited evidence suggests that if you make it more affordable for international backers to get your game you will increase your total backer numbers by a decent percentage. Why would you not want to do that as long as you are not losing money? There are other spin offs to this. Ie it may open up future distribution opportunities in those distant markets because you are more effectively demonstrating demand for your game in those markets. And as Jamey can probably attest, international recognition and glory is far better than North American recognition and International hostility. Kim–Absolutely, not just Europe. The tough part about Australia/NZ and Asia is that Amazon fulfillment can’t be used in those areas. There are ways to reduce the cost per unit to the backer by using group rates, but I would not recommend that project creators lose money to send the games anywhere. So they have to be careful with those regions. Careful and respectful to their wallets. You’re correct that the international market grew from about 25% for Viticulture to about 40% for Euphoria. I think it’s safe to say that Euphoria would have been considerably less successful if I had required $25 shipping additions for every international backer. Yeah of course re no cheap Amazon to AU / NZ. I’ve said it elsewhere but i think its pretty likely there will be a way to handle AU / NZ (and other too small for amazon postage jobs) direct from a chinese postal service (eg in Shezhen Port where PandaGM at least are) at an affordable rate compared to USPS. Its a matter of someone testing some of them to proof costs and quality control. Different game compositions for different backer levels is a complication, but for simple games where there are just 1 – 3 versions of the game which can be boxed at the printer I imagine this is workable? How deep did you look into that for Euphoria Jamey? Jamey – Your blog post here is literally worth its weight in gold. Thank you so much for the post and forum. Two questions. 1, if you want your project to be EU friendly and cannot find an importer of record in the EU, would you wait to launch your campaign until you find such a person or can this be done mid-campaign? 2, I have been struggling with this for awhile. Extra costs for international shipping over US shipping increase your total Kickstarter funding towards your funding goal (and the amount that Kickstarter/Amazon charges their fee to you on) but does not give you dollars that go to your bottom line. Do you have any advice for this issue? Kim–I’m actually using a company in Shenzhen called 4px to fulfill orders to Australia and Asia. I can’t vouch for them yet, but I’ll write about it after they deliver. It’s not a significant improvement on costs for Australia/NZ, though. Just more of a matter of time savings. What I really need is for Amazon to open a fulfillment center in Australia. I wonder if at 5lbs you are in an awkward weight bracket? Or perhaps size was an issue? My game will be a smaller box and under 2lbs so I’ll need to get quotes on that. Do total number of sends affect per unit prices with such companies too? 1. How many different printer packed versions of Euphoria did you end up with? 2. How does the number of boxed versions impact on manufacturing costs assuming all elements are from the same factory? 3. What are the logistical issues with pushing those different boxed versions through Amazon or someone like 4px? Is differentiation by barcode enough? Kim–Yep, the single game to Australia/NZ is still by far the most expensive shipping cost per unit. Even directly from China it’s $40. That’s better than $50, so we’ll see if it works. Weight is a big issue. The lighter the game, the lower the cost. 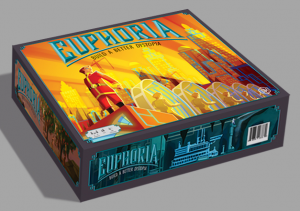 Euphoria is a 6 pound game. However, there is a flat fee for the first 500 grams (1.1 lbs). After that you pay per additional 500 gram. Thus a 2 lbs game would cost about $20 to send directly from 4px to Australia. 1. Three. I wouldn’t recommend doing more than three if you can avoid it, especially because of the potential for errors and the setup on Amazon. 2. It doesn’t affect manufacturing costs much at all. At least not with Panda. 3. Differentiation by barcode is enough. Amazon has been 100% accurate with those barcodes. The logistical issues are making sure that the right versions go to all the right places. Also, you have to set up each SKU separately on each Amazon website. That’s not a huge deal, but for each additional game you add, the more room there is for human error. Good stuff! even $40 per game for a 6 pound (2.7kg) is much better than the $59 it takes via shipping and USPS and is pretty much the same as your central europe costs. $20 postage for a smaller / lighter game seems pretty good given that probably $10 – 12ish of that is likely to be already incorporated in the core costs as averaged shipping + amazon fulfillment costs anyway. Its possibly bearable as a break even cost or you could just charge $10 extra for remote shipping compared to the offputing $25 – $35 you often see. Hey all, this is a heck-uv-a conversation – lots of useful info, both in the post (thanks Jamey!) and in the comments by others (thanks all!). Wondering if anyone out there or Jamey himself has any experience with Shipwire for shipping or knows anyone who’s used it? Curious about its benefits versus Amazon’s, though Amazon seems to be a really good play. Thanks again Jamey for the always helpful posts! Interesting. The big problem Amazon has (for EU delivery at least) is that it still needs the creator to find a way to fulfill VAT/customs obligations, which is a big inconvenience. If Shipwire is able to do the paperwork on your behalf and charge you for it directly (their website seems to imply so), it would be a huge advantage, since you would not need anything beyond their fulfillment service. Hi, I know an ecommerce order fulfillment company named https://www.chinadivision.com/, has the same business as shipwire. But it sames that they can do paperwork for their clients. That means they can find a way to fulfill VAT/customs obligations and so on. Maybe you can connect them for details. Thanks for letting me know about them, Andy! I’ll contact them. I agree 100%. Planning for success makes it a whole lot likelier that I will succeed. Thanks for the reply and the positive outlook. This is quickly becoming my favorite blog! One thing that struck me when I read your article, was the problem with getting a Vat registration in EU. Try Denmark it’s free to get VAT registered here, and the tax rules becomes very simple, you basically just have to report the VAT online. Rapsodi–That is really good to know. Getting the VAT registration is probably the biggest roadblock, so that could be a big help for other creators. The other big part of it is doing the quarterly accounting for the VAT, which can be tricky. Well at least it’s only every 6 month here. And I’m pretty sure if you are a small business(less than 1.000.000 DKK ~160,000$ or else it’s 50.000 DKK ~8,000$, I think it’s the first) you don’t have to deliver a Vat accounting, unless they ask for it, you just have to report the total, but save all the papers, just in case. But this is where i get unsure since I don’t run a business and all my knowledge is second hand. I recently registered for VAT in the UK. There was no charge for that, and I can put in basic quarterly accounts. And if anybody is selling rulebooks only, books are zero-rated for VAT in the UK. Ed–Can you post the link to the site where you registered fro VAT in the UK? Hopefully it works for international creators (it looks like your e-mail address is in the UK). Where’s the time gone? The website in question is http://www.gateway.gov.uk . You need to register, and I suspect you need to either be resident, or have a UK registered company. As with so many things, it’s probably worth getting professional advice – this might be cheaper in the UK than Germany. Once registered you can file your own tax returns online. I understand that at low-levels of turnover you can put in simple VAT returns containing just the total of VAT that you’ve paid, and the total of VAT that you’ve charged, and the difference is paid one way or the other. If you’ve paid more than you’ve charged (e.g. you’ve had poor sales, or you’ve paid import VAT on books, but not had to charge it on book sales) you get money back. As my turnover will be low this year (and possibly next) I don’t need to register for VAT, but as I’m importing a lot of stock from outside the EU, and some of what I sell is “zero-rated” for VAT, it works in my advantage. Thanks so much for sharing this, Ed. That’s very helpful. I contacted GGI, but apparently they no longer issue SKU codes, and they referred to them as SMC codes? I’m a little confused what this code is for. Any help would be appreciated! SMC stands for “Standard Manufacturers Codes,” whereby the three letters by themselves are your SMC. SKU (stock keeping unit) is the code for each individual product. So, for Stonemaier Games, STM is our SMC and STM100 is the SKU for the retail version of Viticulture. You mention different versions of your game going to different locations around the world. Did Panda manufacture your game and include a rule book in multiple languages? If so did they translate the English copy for you? Or are you referring to the base game vs. say a premium order that contained stretch goals, expansions etc.? You also mention different codes that need to be on the box including the SMC. What other codes or information did you realize you needed on the game box to ensure there were no hangups during delivery, through customs and or compliance? Is there a website or link you can share explaining what really needs to be on the box aside from the title of the game and artwork. Eric–Oh, I was referring to the retail and Kickstarter versions of the game. The only codes that have to be on the side of the box for Amazon and retailers are the ISBN # with the barcode and the SMC. You’ll want to put other information like recommended age, time to play, # of players, etc, but none of that is legally binding or required. Another minor question for you: When you did your SKU numbers, did you create one for each version of your games? For example STM200 for retail Euphoria – did you do STM201 for the Kickstarter exclusive version? Or simply keep them all uniform? Cody–Yep, you’ll need a different SKU for each version of the game. For ocean freight, why do you use RIM Logistics and Dimerco? Why not just one? They both seem capable of handling the entire shipping process. Is it a eggs / baskets scenario? When using Amazon.com – can you use Removal Orders to ship games to yourself for conventions and such in the USA? For example, if you were going to BGG con, could you send 100 games to yourself at the con? Is it really only $0.50 a game? Good questions. For ocean freight for Euphoria, we consolidated and now are only using Dimerco. There’s no reason to use two companies. Yes, you can use removal orders for conventions…however, the timing is an inexact science. It’s not the same as normal shipping. Amazon seems to complete removal orders at their leisure–their website says it can take up to 30 days during peak periods. And yes, it’s $0.50. You can read more about it here (https://www.amazon.com/gp/help/customer/display.html/?nodeId=200280670) and here (https://www.amazon.com/gp/help/customer/display.html/?nodeId=200685110). I don’t know if this idea has been suggested, but what would happen if all of the games were shipped from the manufacturer to an Amazon facility in the US? Then, since Amazon won’t ship boardgames from the US internationally through multi-channel fulfillment, the creator would instead go onto the Amazon website for the US and order the games for their backers. That way you wouldn’t be using multi-channel fulfillment and could have your game shipped internationally. I know that this would save on shipping cost from the manufacturer to Amazon portion, but I’m not sure if it pays off in the long run for shipping to international backers. I bring this up for the instance where there are very few international backers supporting a project. In this case, the savings from not shipping from the manufacturer to Amazon.de and Amazon.co.uk would be substantial enough to warrant only shipping to a US-based Amazon facility. Perhaps I’m asking the wrong question though, and should focus on ways make my project more “international backer” friendly. However, in this unique case, would it make sense to approach shipping this way? Or are there some glaring reasons why this practice hasn’t been tried/used? P.S. Thanks for creating such an amazing blog and offering your advice to novices like myself. We’re currently setting up Asia / Australia / NZ shipping. 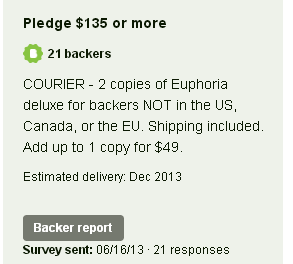 I’ve noticed that many of your Asia backers have been getting their copies of Euphoria! Excellent work! Do you have any feedback on using 4PX for shipping at this point? Thanks again for this wealth of information! Cody–Unfortunately I can’t vouch for 4px yet. I’ve been partially pleased with their service, but they didn’t do one very specific thing I asked them to do (pack games in bubble wrap), so I can’t recommend them yet. I will try to use them again, and if they improve that aspect of their service, I’ll write an entry about them. It was great to hear you and Richard discuss international fulfillment of Kickstarter rewards on the recent “Funding The Dream on Kickstarter” podcast. You make a great co-host. I look forward to listening to future episodes. During the episode you mentioned the process of shipping from the manufacturer to Amazon in what sounded like a direct transaction. After listening to the show, I wanted to read this blog again to see if I was mistaken about my understanding that a third party would need to act as an importer/consignee and to process the VAT transaction. After reading though this post again and the comments, it appears as though a trusted third party is typically (Denmark VAT registration is a wildcard) required to enable the transfer to an Amazon facility. Are you able to provide any more details about the transfer process and what activities a third party may need to manage at any point in the transfer process? Are the activities typically done remotely or do they require a physical presence for any reason? Would the quarterly accounting of VAT only be required for ongoing Amazon sales from within the EU on a post-Kickstarter basis? Do you recommend using the Kickstarter reward amount as the declared value on individual shipments to non-US, non-Canada, non-EU locations? Hi Tom, thanks for your question (and I’m glad you enjoyed the podcast!). So, a few things: The shipping company should handle the shipment from the manufacturer (or from port in China) all the way to Amazon’s front door. However, when the shipment reaches port in, say, Germany (before it gets to Amazon.de), the shipping company needs to make sure the shipment passes customs. At that point they will need to provide the name and VAT of the consignee. The consignee doesn’t need to be present. Probably in some cases customs will call the consignee, but I think that’s pretty rare. Indeed, after the first tax report for the Kickstarter fulfillment, the quarterly accounting is only needed for ongoing Amazon FBA sales. The declared value should be the cost to manufacture the game. I’ve confirmed that with an accountant in Germany. Just out of curiosity – does the shipping company pay VAT on your behalf (or, technically, on behalf of the consignee), or does the consignee need to make the payment? From your first explanation, I thought that it was the latter case, but perhaps it’s the former – which would simplify things a lot, since the consignee would just need a VAT certificate for accounting. Also, the thing about VAT is that it can be compensated. When you do your VAT taxes in your accounting, you figure out the difference between what you have paid and what you have collected, and that’s the amount you have to pay. So, in general, receiving a shipment would work to your advantage as a business, just like buying a lot of stuff – since you’d have technically just paid a bunch of VAT because of the incoming shipment, you can compensate (= not pay) part of the VAT that you are collecting from customers. Eg. if you sell product (or give services) for 10.000 € here in Spain, you’d have to collect 21 % = 2.100 € as VAT from your customers and pay that amount in your quarterly taxes. If, in the same period, you had just paid, say 500 € for VAT in an incoming shipment, you’d be able to deduct those 500 € from the 2.100 € in VAT owed. andvaranaut–Well, from my experience shipping Viticulture, the consignee was sent a VAT bill a month or so after the shipment arrived. He paid the bill and I reimbursed him. Very interesting about the VAT deduction…thank you for sharing that! Would I be correct in saying that the following is the process for getting a game from the manufacturer into the hands of a EU-backer? Is this a complete list of everyone that needs to handle the game from manufacturer to EU backer, or have I left someone out? How is the importer of record involved in this process? Do they need to have physical contact with the shipment? Can the IOR be bi-passed completely and have the shipping company forward the necessary VAT information to them instead? Thanks for being awesome Jamey! Jascha–That’s close, but there are two small missing links. In between the manufacturer and port in China, there is a freight delivery company (your manufacturer will handle this…at least, Panda does). Then there’s another freight delivery company between destination port and Amazon. However, the primary shipping company handles that–I mention it here just because it is a cost that needs to be accounted for. The importer of record in Europe is simply billed the VAT, and you need to reimburse them. They don’t need physical contact with the shipment. The shipping company cannot play the role of the importer of record. Thanks for providing the clarification. It’s the little details that seem to come back to bite new Kickstarter project creators later. It’s so helpful to at least know the right questions to ask when dealing with shipping companies and manufacturers. Nice to hear you recapping this in a podcast – you are gonna have to muscle in on Richard to get a more words in though :P . Not as much actual analysis as I was hoping for but that’s all here above I guess. Richard pointed out in your podcast on this topic that some (many?) projects decide to just not aim at the international market. Is his proposition of the risk of getting too many international backers give you a false total (based mostly on USPS charges) really the issue though? Not something I’ve heard before. Based on the fact that 5 months after you posted this I’m still not seeing many KS projects using the Amazon fulfillment method, I presume there is a threshold at which for many KS producers, it just seems like just too much effort to seriously consider international backers by going with Amazon distribution. I think Game Salute might be in this camp among many others. E.g. ‘if we ignore international backers and just go with adding $25 for international onto the $10 internal postage and more double or more the cost of the game I may not get quite as many backers but I save myself a whole lot of hassle by just prioritising the US (core) market’. While some may not even know of the Amazon method, I fear many are simply opting out of it for ROI reasons. How much of a factor do you think this is and what can change it? These are great questions. As for Richard’s thoughts on international backers giving you a false total (he was just repeating someone else’s point of view), I rarely think it’s a concern if you budget correctly. Although it’s impossible to know exactly how many international backers you’ll get, you can use percentages like the ones I mention on the blog here. For example, Viticulture had a breakdown of 70% US and 30% international. If you budget for that when creating your project goal, then it’s not a matter of international backers overininflating your funds raised, because those are exactly the funds you anticipated raising. As for Amazon fulfillment worldwide, I don’t know exactly why more projects aren’t doing it, but I know that I’ve seen about a dozen who are, so that’s a step in the right direction. I’ve heard the criticism that smaller projects can’t use Amazon fulfillment, but I don’t understand that. There’s no barrier to entry for Amazon fulfillment. Everything is based on percentages (like, for example, VAT in Europe, so if you only end up sending 20 games to Amazon.de, you’ll pay the same percentage as if you had sent over 2000 games. The only set cost is Amazon’s monthly fee for their professional services (which you need for fulfillment). But you don’t have to pay that fee every month. Just pay it for the month or so you need to actually fulfill Kickstarter orders (if you’re going to continue selling retail games through Amazon, you’ll have to continue paying the fee, but you’ll also continue to earn revenue). But I think what you gain is significantly better than what you lose. Let’s say, hypothetically, you don’t want to use Amazon fulfillment for Europe. Your game costs $40 on Kickstarter with $10 shipping built in, and based on the size and weight of your game, you determine that it will cost you $35 to ship a game to Germany via USPS. So that’s $65 to a German backer. Now consider another scenario: With the same game, you set up Amazon fulfillment. You calculate that with VAT and the Amazon monthly fee (even for a very small batch of games), it’s going to cost you a little more than the US games, so you charge $5 extra for shipping. $45 total to German backers. The price elasticity between $45 and $65 is HUGE. So while you might sell, say, 20 games if you charge $65, you might sell 50 or more games at $45. The profit per game is the same either way, so that’s 30 extra games you’re selling. Really the only major barrier to entry is finding an ally in Germany to serve as your VAT consignee. Perhaps that’s what’s holding people back. Hope this is not a stupid question, so do you need a VAT consignee in Germany and the UK or can you get by with just one of these countries? Hey in another KS comments area I also came across the following info about VAT thresholds, which I couldn’t find in a skim through this epic thread. But it depends on the country. Basically the EU dictates an amount between 10 and 22 euro as the threshold. Hope that is useful for smaller games considering EU fulfilment. Not sure I understand it clearly yet. I wonder is it acceptable practice to put the value of the game at its price excluding all shipping and postage as the invoiced $ amount? Jamey said “Really the only major barrier to entry is finding an ally in Germany to serve as your VAT consignee. Perhaps that’s what’s holding people back.” in response to why more projects aren’t offering Amazon fulfillment worldwide. I would agree with your comment and wonder why no one has really openly stepped forward to offer these services when it is clearly of interest to a vocal group of international Kickstarter supporters on BGG and many other forum threads. I completely agree, Tom–I wish someone would do that. I’ve discovered that you really need someone in the UK and someone in Germany, but an EU company could register in both of those countries to consolidate the service. I would be interested in talking with you about being an importer of record for my KS project. How can we get in contact? Ed–That’s awesome! Thanks for offering that service. After someone uses you for the first time for this service, can you send me their testimonial and I’ll add your contact information to the main text of this post? Thanks! I would also like to talk with you about being an IOR for a Kickstarter project. Please drop me a line when you are able. Hello! I am following up to see if there was any success with solving this “Importer of Record” issue. I am getting close to launching my KS and am still struggling with UE shipping. I am already setup with Amazon for fulfillment in the US and UK, but need to solve this last issue. Thank you Jamey for everything you have provided to the game industry, I know how much it has helped me! William: My recommendation is still largely the same: Find someone in the UK who is willing to serve as the importer of record for you. As long as you pay them for any taxes they occur, there’s no cost to them. That is the difficult part for sure. If you ever able to recommend a company for this please let us know. Thanks again! You said you use pandagm.com to make your games, but what other companies did you look at before deciding on them? What made you pick them was it just a matter of price? Chris–It was more of a matter of reputation, and Panda has lived up to that reputation. If you’d like to look at other companies, you could consider QP International as well. ha, QP is the site I just found moments before reading your post. Thanks for the info! Your blog has been an amazing resource!!! Jamey, your blog posts have been an incredible aid to us as we’ve been developing our own Kickstarter. Thank you so much for doing these! A couple of our backers, in Taiwan and Hong Kong, have been asking if they could be included in the China shipping rate. I’m in the process of researching this, but I was wondering if you had encountered this issue already while shipping for Euphoria, and if you did, what the result was. Thanks Matthew! I’m actually going to write a retrospective on Euphoria shipping this Wednesday, so I’ll address that in the blog post. The short answer is that shipping is different for China vs. Taiwan/Hong Kong, and the rates should not be the same. Wow, thank you for the quick response, Jamey! I’ll stay tuned for your post on Wednesday. I saw some people playing Euphoria for the first time last night at Friday Night Dice in LA, and it looks just gorgeous! Matthew–I didn’t realize you were one of the Chaosmos guys. Very cool. I watched your play-through video the other day and though you did a great job. Good luck with the rest of your campaign! Thank you so much for this amazingly informative article Jamey. Being based in Australia, we always seem to face the highest shipping fees on most games, which tends to deter you from backing many Kickstarter projects. Such a shame because I like feeling part of the process that supports development of new games. This post has given me a much greater appreciation of the costs and effort involved in producing and shipping those games and an improved understanding of why those costs are so high. Good luck with the business, I hope you keep producing great games and growing form strength to strength. Thanks for your comment! I actually have found a shipping solution that I think will significantly lower the shipping costs to Australia. I’m going to test it out on our next game, and I’ll let you all know the results! First, Jamey thank you for being at the front of setting the trends when it comes to KS. All the effort and know-how you put out there is invaluable. My company is from Croatia (inside EU), and EU distribution will go through UK (Shipwire). From my thorough research I learned that it’s not only necessary to have a VAT number; when it comes to importing goods – you need a company in that country. I would really like if someone could refute my claims, but in the mean time I am actively searching for the importer of goods from UK. There are already a few offers in the comments section, how can I get in contact with them? Just wanted to say thank you for the wealth of information you have provided for those interested in launching their own campaigns on KS. This post in particular, will be of great value as we are currently looking into the feasibility of doing a Kickstarter for our game. While it looks daunting, it’s nice to see that you have left a nice trail that we can follow and explore further to see how we can make sure more backers worldwide have access to our product, thereby ensuring greater success. I’m looking forward to delving further into your posts on KS campaigns and look forward to your next project so I can back it. Thanks again! Thanks Marcel! I’m so glad this entry (and the follow-up) can provide a trail for you to follow as you find a good shipping solution for your future backers. Jamey – I have found a company that looks like a very good resource to do Kickstarter fulfillment based in the US called Ascendia. Have you or anyone else heard of a fulfillment company that would do Kickstarter fulfillment based in the EU that could help everyone with the importer of record issue? For a first timer, having a fulfillment company handle everything would be a big bonus. Thank you again so much for all of your support to everyone here! Loren: You have a few questions on this post; I’ll try to address them in this comment. Ascendia: I don’t know much about Ascendia. Other option are Shipwire, Ship Naked, and Game Salute. Do any other readers have experience with those companies? VAT: You’ll need a consignee (or register your business) in every European country where you use Amazon fulfillment. So if you use a combination of Amazon.co.uk and Amazon.de, you’ll need to either register or find a consignee in both countries. EU Friendly Timing: If you don’t yet have a consignee, given that it’s relatively easy to register your business in the UK (see above comments), I think you could proceed as planned with fulfillment promised from within the EU. But you’ll want to first look into what that registration involves. Bottom Line/International Shipping: You asked, “Extra costs for international shipping over US shipping increase your total Kickstarter funding towards your funding goal (and the amount that Kickstarter/Amazon charges their fee to you on) but does not give you dollars that go to your bottom line. Do you have any advice for this issue?” If you level everything using the same shipping subsidy for all backers and then charge backers the appropriate amount for shipping on top of that, then I would argue that all pledges do correctly go to your bottom line. Your bottom line calculation involves accounting for shipping, even within areas where shipping is “free” (that’s the subsidy you have to account for). You just need to make sure to build shipping into your budget and select your project goal accordingly. You can use the stats I posted about Euphoria and Viticulture to get a rough idea of what percentage of backers will come from different areas. Jamey: Thank you so much for your very nice and detailed response. I have one final question and then I think I understand all of this pretty well. VAT taxes are charged specifically on what and paid when? Are they charged on the total invoice of games that show up to the UK warehouse? Is it the game invoice total + freight costs? Are the shipping costs to backers included in the total invoice for VAT tax? I think you said that VAT was included in the freight total? I have a quote from Dimerco that does not include VAT. Forest . . Trees . . . help . . Thank you! VAT taxes are charged specifically on what and paid when? –They’re charge on the value of the game as listed on the incoming shipment, which is typically the cost to manufacture and ship the product. Are they charged on the total invoice of games that show up to the UK warehouse? Are the shipping costs to backers included in the total invoice for VAT tax? –No, the individual shipping costs to backers are completely separate. I think you said that VAT was included in the freight total? –I said that MY calculation for getting a game from the factory to port, ocean freight, VAT/customs, and freight trucking to Amazon is about $5-$6 per game. Jamey: Thank you so much for clearing that up! I think I get it now! I am investigating working with Ship Naked who now has a UK Warehouse. I am interested in making my project EU friendly. Do you have any experience with Ship Naked? If I ship through their UK warehouse would my project be EU friendly? So for the blunt (like me!) if you ship 100 games to the UK at $10 per game manufacturing cost (=$1,000) and freight shipping costs $500, your VAT Taxes due will be 100 x $10 = $1000 + $500 = $1500 x20% = $300 of VAT Taxes to account for? If I have not said it enough, your posts are worth their weight in gold and anyone running a Kickstarter without reading this is flying in dark. Thank you just doesn’t seem sufficient. Yep, that calculation is correct. I believe Michael Coe (Tiny Epic Kingdoms) uses Ship Naked, so you can check with him about that. Thanks for the detailed article Jamey, I look forward to reading the rest of your blog entries in the future. Do you see the possibility of being successful relying solely on American backers in order to avoid the complication of international shipping? Luke: I’ve found that when you put restrictions on backers, they don’t respond well. I think international backers would rather have the option to pay a lot to get a product than not be able to get it at all. People don’t like feeling excluded, you know? respect for the awesome article Jamey. super useful. Jamey we need to ship our Kickstarter orders and we are considering using 4PX in shenzhen, how was your experience with them so far? 1) What is the maximum volume of a pallet?. If a pallet has average height, the price is fractionated or always full pallet is charged? 2) In Kickstarter, if a community forum place an order for 15 copies in the “reward of $ 1”, where aggregate the total amount of 15 copies + shipping to UK. 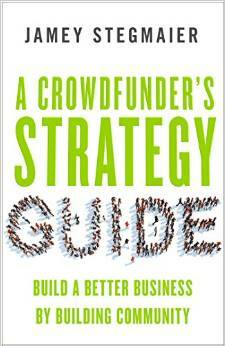 Kickstarter or Amazon UK recognize it among Backer to send copies using its Fulfillment by Amazon service? 3) If the Kickstarter rewards are credited in amazon.US for being our campaign and registered company in Miami. Our question is whether, after fulfilling the requirements who ask, amazon.UK distribute the bounty made ​​in USA? or bounty on Kickstarter to appear initially made ​​in our Amazon.UK account? 1. That is a really good question, but I must admit I don’t know the answer. I think there are a few different pallet sizes. I typically just ask Panda how many games can fit on a pallet (because each game is a different size) and how much it’ll weigh, and I send that info to Dimerco for the estimate. 2. Kickstarter’s platform is completely different from Amazon’s seller services. Kickstarter uses Amazon Payments, but beyond that there’s no connection at all. You’ll get your backer info from Kickstarter, and then you’ll send that information to the fulfillment service you choose to use (one option being Amazon multi-channel fulfillment). I am trying to determine what ports I will be shipping my orders to. As you say Amazon doesn’t give you information on the fulfillment center address until they have the exact size of the pallet/boxes that will be delivered. Justin Bergeron, from Dimerco, is helping me (he is every bit as helpful as you said, thanks) and needs to know which port we will be using. Did you run into this issue? Thanks for your help and inspiration. Thanks Tim. Justin needs to know the port in China, not the port in the US (he’ll tell you the port in the US). Jamey: thank you for taking the time to create and share such an extensive body of knowledge. I find your observations and reflections very engaging, insightful, and quite applicable to being successful in many thing, even beyond Kickstarter. This is a question for anyone who can point me in the right direction: These posts are geared towards board game campaigns where units are $50+, and weigh several pounds. I am curious to know if there are some resources on the logistics (fulfillment/shipping, primarily) for cheaper, smaller items (in the $10-25, 1-2 lb. range) that rely on lower costs and higher volumes? Hi Jamey! Could you give me any insight on whether you think it’s worth it to ship both to the UK’s Amazon fulfillment and Germany’s Amazon fulfillment? Do you think it’s possible that it would be easier and not make that much of a cost difference to just ship to one or the other? I assume they could both ship to the rest of Europe at the same rates? I am asking in part because the last time I talked with PGM I got the impression that freight pricing could go up slightly based on shipping to multiple locations, and more importantly I think it might be nice to have your post-Kickstarter inventory more consolidated in terms of locations where you have pallets. That and I suppose you might have to do a little less coordination overall. Thanks for any insight you can provide! Jason: I think that today’s blog entry (https://stonemaiergames.com/statistics-from-the-tuscany-kickstarter-project/) will help answer your question a bit. The key is that it’s much cheaper to ship to UK backers from within the UK and to German backers from within Germany. If it’s cheaper, you don’t have to charge those backers as much, so it means you’ll have a lot more backers within those countries. I would suggest talking to Dimerco about this. What they’ll do is put pallets of games into shipping containers that are already headed to the UK and Germany, so the cost per unit will be pretty close to a situation where you actually fill the shipping container. Makes sense- thank you as always. Boy is this epic post / discussion a lightning rod for your business! 1. Table top games are definitely ‘non-media’ items right? With the base cost differential in the handling fee (1.90 for media vs 4.75 for standard size non-media) being US$2.85. that is a trap to watch in your costing calculations people. 2. Did you find the Amazon costs being roughly equivalent in USD terms across US, CA, UK, and German multichannel fulfillment options. I presume because you need to set up 4 amazon accounts you need to do 4 different cost calculations? 3. When you have games that must be batched (ie 3 or 5 games for a group or store send) does Amazon do that and what were the approximate costs for those? I am also reaching out to 4PX to guage costs of having them do all global fulfillment for a 1lb / 500 gram medium box sized game. I know it will be more expensive than shipping to Amazon (US$4-6) + Amazon multichannel fulfillment (US$6.75 for me) generally but I think it would be interesting to compare from a labour and convenience point of view too. I’ll share a link to approximate results here when I have them. I guess I have to factor in VAT and other taxes too. 1. Yep, they’re definitely non-media. 2. They’re roughly equivalent, but the UK is a little more expensive. Regardless, you have to set up 4 different Amazon seller accounts, one for each country. 3. The cost calculator will help with your exact costs, as it really just depends on weight when you’re adding extra games to the package. The cost per pound goes down once you reach a certain threshold. I’d be curious to see the results of your question to 4PX. Depending on how expensive the product is, you could end up costing backers a lot on VAT and customs. We’ve just launched our new Kickstarter, Asking for Trobils, and within the first hour we were asked why we weren’t using your methods for free shipping in the EU. I explained that in our last campaign, we only had 28 backers form the UK. Obviously that would have been more if shipping were free, but considering that, and doing the math, it didn’t seem plausible to try your method. What’s your opinion on that? Is there a number of games that makes this process lose money for you? After the math, it seemed we would make about $150 profit on those 28 games if there weren’t any unforeseen customs, Amazon extra costs, or taxes. Christian: Sure, if you check out the follow-up shipping entry I wrote (there’s a link at the top of this page), it outlines how you can ship even just a few cartons to Amazon.co.uk. If you anticipate receiving the games in the US and then shipping the cartons to Amazon.co.uk, you’ll want to charge a little extra for those games (to backers), but if your manufacturer can send them directly to the UK from their facility, you can essentially charge the same amount you’ll charge US backers. The follow-up entry should help you with this. Ever consider hiring yourself out to ship for other Kickstarters? LOL I’m doing the math and I still don’t see how 28 games in the UK could work (I did read the follow up article). Ha ha…I have my hands full with my own (and this blog)! :) Have you contacted your freight shipping company to get a price on shipping 28 games? And realistically, if you open up shipping to the EU, you’re going to be sending a lot more than 28 games to the EU. Ideally you’d get up to a full or half pallet. Talk to your shipping company about it and I’m sure they’ll have some solutions. What ports do you typically need to send (from Shenzhen) to for Amazon US, CA, UK and Germany? Need this for shipping estimates from Dimerco, if you happen to recall them that would be handy. Kimberly: Thanks for your question. It’s interesting that Dimerco would ask this, because they usually tell me what the ports are. I tell them the Amazon fulfillment addresses and they tell me the ports. Please note that the following addresses are just samples–you won’t know the actual destination address for your order until you complete the process of informing Amazon that you have an incoming shipment. Jamey, thanks for a very informative post about shipping. Scrapyard Empire just launched today and some of my backers referred me to this page for ideas on lowering my international shipping. I’m about to read your next piece now! Thanks Dennis! If you have any questions, feel free to ask them in the comments on one of the shipping posts and I’ll do my best to answer them. Jamey, thank you so much for this post. International shipping is the biggest headache in a Kickstarter campaign. Overwhelming for sure, but this post is a bible for those of us in need of salvation. Imagine project creators being able to select an Amazon option that charged us, but handled all shipping. Imagine backers automatically knowing how much their exact shipping fee was. Imagine the profit Amazon could make from this service. It truly is a win, win, win situation. Let’s all reach out to Amazon and continue to pester them to add a “Shipping fulfilled by Amazon” section to Kickstarter. That would certainly be awesome, Jonathan. Amazon is moving in that direction with “media” items, though those items are subject to VAT when shipping to Europe. I’m guessing they’ll continue to make more products available for international shipping. Could you delay payment for shipping until after the campaign? I mean the backer would pay one standardized amount, no matter where they are in the world, and not pay for shipping until the product is actually ready to be shipped. Of course you would provide estimates based on their location beforehand. Then basically when you do the survey to figure out their shipping address you would funnel them to a payment gateway where you collect payment for shipping. – You get more time to figure out better and cheaper shipping. As time passes shipping to Asia, Africa etc. might become better and cheaper. – You could do more exact shipping costs instead of using broad geographical categories. Just for good measure – thank you immensely for your great articles – they have been a massive help in trying to figure out the puzzle of shipping after a campaign. We are launching a campaign for a hardware product in a couple of months. As you can see by the poll, people don’t seem to like it. They want everything taken care of on Kickstarter, and they want the shipping cost to be set in stone so they know up front what they’re paying. However, there are other ways to do shipping. If you look at my Kickstarter campaigns, I have a detailed shipping chart on the project page that breaks down backers into specific regions based on my fulfillment methods. Those backers add the shipping fee to their pledge total during the campaign. You really don’t need more than a few regions for accurate pricing–shipping to Belgium from Amazon.de costs exactly the same as shipping from Spain from Amazon.de, for example. I like that you’re thinking outside the box, though! Great post – seems like people are really opposed to the idea of paying for shipping later. I guess it makes sense. I have a quick question about what I think is a catch-22 with shipping manufactured games to Amazon. I think I must be missing something, so I would just like to be sure. Currently, it seems that Amazon will not give me an address for a warehouse to ship a product to until you can give Amazon all of the necessary stats – number of boxes, items, weight, and more. However, this means that I have to tell my manufacturer to print everything and then hold it at their plant until I can set up the order with Amazon. This was hard to communicate to my last manufacturer and some rerouting had to occur. Is this the correct way to do this or is there a better solution? Months before full production begins on a game, the manufacturer will know exactly how much the game weighs and how many copies will fit on a pallet. At the very latest, this will happen when they send you the “white proofs,” which is still about a month before production begins. Thus you’ll have that information with plenty of time to submit the shipping request to Amazon to get the destination address. Of course, I’m speaking from my experience with only one manufacturer (Panda), but I think it would be a rarity that a manufacturer would not provide that information. Thanks! Jamey, I just wanted to thank you for sharing much of your Kickstarter experience on your blog. The advice you have provided has been invaluable. My partner and I plan on launching our Kickstarter in the next month or two and we have definitely gained a lot of insight into the whole process through your blog. We are still struggling with a few items, and have a few questions we hope you can help us with. What was the process for shipping to the UK? Amazon Fulfillment is only possible in the EU with an importer of record, correct? Does having an importer of record in the UK allow for shipment into the EU, for example to the fulfillment center in Germany? If we need to find an importer of record in the EU, do you have any advice/suggestions on how we can do this? Also, what kind of expenses can we anticipate for our VAT? And, one last question, when you sell games retail via Amazon do you have to charge your customers tax, and do you have to pay taxes in the different countries that you sell to? I realize I’m asking for a fair bit of support here, but we really can’t seem to find this information anywhere. Any assistance or support you can provide would be greatly appreciated. Thanks. Amazon Fulfillment is only possible in the EU with an importer of record, correct? Correct. Same as Amazon.co.uk. Does having an importer of record in the UK allow for shipment into the EU, for example to the fulfillment center in Germany? No, I’m 99% sure the importer of record needs to be in the country where the games arrive. If we need to find an importer of record in the EU, do you have any advice/suggestions on how we can do this? It can be any resident in the country, so reach out to friends and friends of friends to see if someone would volunteer. I found my importers of record among my backers and compensated them for their help. Also, what kind of expenses can we anticipate for our VAT? 20% of manufacturing cost. And, one last question, when you sell games retail via Amazon do you have to charge your customers tax, and do you have to pay taxes in the different countries that you sell to? Amazon will handle the tax charges for you, and you’ll have to report any taxes for games sold to people within the state where your business is registered. Thanks Jamey. The extra link you provided was really helpful. Jamey – I have submitted my final files to my manufacturer and per your wonderfully helpful step-by-step advice I am now looking into signing up for my Amazon seller accounts. Do I want to create an Amazon Seller Account, FBA Account or both in order to fulfill my Kickstarter games and sell games via the Amazon website? Loren: Thanks for your question. You’ll just need to create an Amazon Seller Account. Jamey – Another initial quest about setting up the Amazon accounts. I created a seller account and started entering my product information. I reached a page under the inventory tab: “Be sure to click ‘Ship from this address’ when done. Note: Fields with an * are required.” What is this ship from address? Loren: I use my address for that part. I’m pretty sure that when you ship from Amazon, they use their warehouse address, not your address on the package. That “ship from my address” address is only used if you get an order on Amazon and manually ship it yourself (it’s an option that you probably won’t ever exercise, as Amazon will be shipping your orders for you). Thank you so much Jamey! So I have created my Amazon US seller account and entered some preliminary information about my product. Is this all I need to do for now until Amazon actually has my games? Are there any other steps that I need to take right now with my US Amazon account before my games arrive at Amazon? You need to create incoming shipments for those products on Amazon, indicating the number of cartons and pallets. Amazon will then give you labels for the cartons and pallets that you’ll send via PDF to your manufacturer, and you’ll send the shipment destination and numbers. This is under the Freight Shipment Preparation section of the above post. Got it! So I just need to ask my manufacturer for the weight of each game, how many on a pallet and so on, so I know the number of games, cartons, and pallets. Jamey – I have tried to condense everything from above (in regards to Amazon only) into a step by step process for fulfilling orders through Amazon. Is there anything significant missing from the following list? Anything you would recommend adding since the creation of this post? 4A – Find out exact weight per game, exact # of games per carton, exact # of games per pallet. 6. Tell the manufacturer exactly how many of each version of the game to include on each pallet. 7. Individual Shipment Preparation: Bulk upload the addresses using the templates you have provided and using the guidelines that you provided. Thank you so much to the Jedi Master of Kickstarter fulfillment!! Hi Loren: This is a great list! I might incorporate it into the above post, crediting you. The only step that isn’t needed is #6. You’ll tell your manufacturer how many games to send, but they’ll tell you how many games go on each pallet. Thanks Jamey! Throughout the whole process of doing my Kickstarter I have kept an extensive step by step to do list. Thank you so much for providing all the “to-do’s”! 1. Above you mention that Amazon will need to know that exact weight per game. Is this the exact weight per game including packaging weight or just the weight of the game? 2. Should I select stickerless comingled inventory or labeled inventory? 3. When you say to “create shipments” to Amazon, this is under Send/Replenish Inventory in your Amazon seller inventory tab, correct? 4. When you talk about creating individual shipment preparations, in your Amazon seller account, this is under Create Fulfillment Order, correct? 5. Should I list any inventory as available for sale on Amazon or just use their FBA services? I plan on using Impressions as my distributor. Amazon will ask you for a few different weights on the final tab of each inventory entry, but I generally just use the same weight. If the game weights 2 kg, I enter 2 kg. No matter what you enter, Amazon will still weigh the product on their end. You’re sending Amazon products with bar codes, so that’s labeled inventory. I think there are a few ways to create a shipment. The way I do it is by clicking the “Shipping Queue” hyperlink at the top of the inventory page, then clicking the “Continue with shipping plan” button. When you’re ready to input fulfillment orders, you’ll choose the “Inventory Amazon Fulfill’s button at the top of the Amazon page and then select the corresponding product. I would list all of your inventory as items to sell on Amazon, but set the sale date well after you estimate you’ll fulfill your backer orders. Keep in mind that I figured all of this stuff out by poking around on Amazon, reading FAQs, and asking questions to Amazon customer support. I’m not Amazon customer support, and there may be inaccuracies or more efficient ways of doing the things I talk about here. Thank you so very much Jamey. When my Kickstarter is complete I really look forward to being able to share everything I have learned with others! I will post back here with my contact info at that time so I can help you spread the knowledge! Jamey – so just to be clear, you need to make a new Account for Amazon US, Amazon Canada, and Amazon UK or Germany? When I go to, say Amazon.CA, it brings up my account and my products but I have not made an Amazon CA account. Do I need to select new customer, and make a new account with Amazon CA and UK? All of the different Amazons are completely separate entities–you need to make an account at sellercentral.amazon.com, sellercentral.amazon.de, sellercentral.amazon.ca, and sellercentral.amazon.co.uk (if you’re using all of those different versions). And is a different email address required for each unique Amazon account? When I registered for my Amazon Canada seller account, my Canada Business Number was not asked for. Did I do something wrong or will they ask for this when I create my first shipment? Loren: Amazon is a little weird in that it doesn’t always require certain information when you create the account, but often it will come back to you later and say, “Hey, we need this information or you can’t keep using this account.” Unless things have changed, a Canadian business number is one of those things. You’ll find it under Settings/Legal Entity. We are trying to find a cheap way to ship to Europe and Australia. If we hit our goal, we will probably end up with about 300 backers, most of whom are in the USA. What is best option for shipping, given that we will have a small number of shipments outside the US? The cheapest I can find is USPS at around 38 dollars for 4lb box that fits our description, but this seems so high. If we get large numbers, we might be able to look into shipping pallets overseas, but I’m not sure that this will apply if we don’t vastly exceed our initial goals. I’d love to give customers a cheaper deal, and want very much to make my game accessible overseas. Do you have any suggestions? Forrest: Thanks for your question. If you only have a few games to ship to internationally, USPS is the way to do it. If, however, you have a few cartons of games to ship to Europe or Australia, you could use Amazon fulfillment (for Europe) as I describe above, or send those games to a fulfillment company in the EU like Ideaspatcher, Shipnaked, or Wayland Games. It may not save you much money, but it will save backers on customs fees because the games will be shipped to them from within the EU. As for Australia, I’m currently testing out Good Games fulfillment–you could do the same with them as I mention above for the EU. I should mention that you’re caught in a bit of a catch 22 situation here. If you don’t offer appealing shipping prices using modern methods of shipping from within the EU, you’re not going to get many backers in the EU. However, if you use some of those methods to offer more compelling shipping to backers in the EU, you could still end up with only a handful of backers in those areas. I think it’s worth exploring the latter situation. Awesome information, but I’m still totally mystified about international shipping. How many backers would I need in Europe for using Amazon.de to be worthwhile? And what’s the risk of not getting enough backers? Also, what’s the best way to get a hold of Amazon fulfillment to get actual quotes. My game is 2.5lb and 10″x10″x3″. Thanks for your amazing blog! William: Thanks for your questions. Given what you’re looking for, I would suggest a simpler solution that requires less work and research on your end: Have Ideaspatcher in France fulfill orders for you. You would be justified in doing so even if you only sent them a few cartons of games, which you’re sure to do if you include EU-friendly shipping. I worked with them recently on Viticulture and was pleased with the results, and I’ll be writing about them more on the blog soon. The best thing about them is that they can get the games from your factory, take care of the freight to Europe, and then mail out the games to backers in Europe at prices similar to Amazon. You would just need to provide a spreadsheet of addresses. You can contact Victor at Ideaspatcher at vcullot@morningplayers.com for quotes and questions. About the Ideaspatcher, do they take care of the VAT issue? 1. When creating a shipment from my manufacturer to Amazon, what do I list as my “ship from” address? My manufacturer’s address or my address? Is this address the same when shipping to Amazon US, Amazon CA, and Amazon UK? I am using an importer of record for Amazon UK. Does this change the ship from address? 2. Under the “Prepare Products” tab, is any prep required to ship board games? I checked out all of the categories and it does not appear so. 3. Under the “Label Products” tab, is any labeling required? I will obviously have bar codes on my games. Under “Who labels” do I choose Merchant? Do I need MWS Label Service? 4. Under Stickerless Commingled Inventory, should I enable or disable this setting? Right now I have this disabled. The label service and Stickerless Commingled Inventory options are very confusing for a first time user! Thank you so much for helping all of here find out way through the maze of shipping! Loren: Thanks for your questions, but I think you might be confusing me with an actual Amazon customer service representative. :) These types of questions are better suited for them. Loren, Jamey: It seems like there are 3 possible ways to label (or not) your games. In all 3 cases, the games have a UPC printed on the box. 1) Print your own amazon FNSKU labels (these identify the games as belonging to a specific seller) and place them over the UPC on every copy of the game before shipping to amazon. 2) Ship to amazon without FNSKU labels and pay $0.20 for label service and amazon will print and place the FNSKU over the UPC on every copy of the game. 3) Ship to amazon without FNSKU labels and elect “Stickerless, Commingled Inventory.” This setting is enabled/disabled here: https://sellercentral.amazon.com/gp/ssof/configuration/index.html. With commingled inventory, if multiple sellers are shipping copies of the same game to amazon, the game your customer receives might have originated from a different seller (and vice versa). Jamey, which method are you using for your amazon shipments? David: I think what may not be clear here is that you can just include a standard UPC bar code on your product (printed on the game box, for example) with the SKU noted in the white box around the bar code, and that’s all Amazon needs. You don’t want to place anything over the bar code–otherwise they can’t scan it. :) The page on Amazon that talks about this (https://www.amazon.com/gp/help/customer/display.html?nodeId=200243200) isn’t structured well to convey that they can easily handle inventory with bar codes printed on the product. Like, if you order pretty much anything from Amazon, you can see that there aren’t labels placed over the bar codes–Amazon is scanning the printed bar code just like any store would do. But it sounds like using a standard UPC is the way to go. And if you want to use a standard UPC, you have to enable stickerless, commingled inventory on your seller account (also from the page linked above: “Do not leave other barcodes uncovered unless the unit is stickerless, commingled inventory.”). Thanks David! That’s an important distinction. Hi, thx for what you have done here, it really help! You mean that in normal selling (out from kickstarter) revenues for a game sold at 100$ are just 40$? If a game costs 15 dollars (with miniatures), + shipping and taxes, is around 30 of costs. A producer gain only 10 $ for a box? Just a note on this, in checking on things if you are only going to use amazon.ca for multi-channel fulfillment and not for actual sales through amazon, apparently you do not need to register in Canada or get a business number. At least that was my understanding from talking with one of the amazon.ca representatives. Nice! That’s very good to know. Thank you! Finding a more relevant and helpful article about Kickstarter fulfillment would be an impossible task, thank you for this. I do currently have a question about amazon seller accounts. When I add a new product on my account, one of the required fields is “manufacturer part number.” Our manufacturer is actually unsure if that is the three digit number connected to our SMC Code (for example: HMG100) or a lot code they would assign to the game. Could you (or anyone else who has gone through this process) help? Kyle: Yep, Amazon is just asking for your SKU code there. * Canadian fulfillment: Do you still recommend amazon.ca for Canadian fulfillment? I’m also looking at Starlit Citadel, although I don’t know if they can ship a 5″x7″x1″ game as inexpensively as Amazon. * What is the best way to fulfill to Mexico? It looks like I’ll be using Amazon Multichannel for domestic fulfillment and Spiral Galaxy for UK/EU/World. * If I fulfill through Amazon, should I expect to pay significantly more to ship to Alaska and Hawaii? ingredientx: I would recommend Amazon.ca unless you’re shipping an oddly sized game during holiday season. I’ll soon be writing a post about Starlit Citadel and Snakes & Lattes so people who want a more personal, flexible option have the data for doing so. For Mexico, you might just want to ship by hand via USPS. I’ve never gotten more than a few backers from Mexico. For Alaska and Hawaii, it’s more expensive, but not by too much, and it’s a very small percentage of backers. Sweet, thanks for the quick reply! Dear Jamey, thanks for the guide! Next month We’ll launch our kickstarter campaign and we are facing the shipment problem. You wrote that the total cost per unit from the manufacturer to the front door of Amazon’s ( customs clearance and fees included) is 5$, and that customs fees are paid in bulk based on the manufacturing cost per unit. the retail price is 100$ but the manufacturing cost declared is 25$. and you paid for customs clearance and shipment a total of 5$ for each game(5×200=1000$)? Vincent: You’re welcome! $5 is an estimate–it depends on the size and weight of the game. But yes, those calculations are correct as based on that number. Thanks Jamey! This is clear and logic! After all you declare only the manufacturing costs and ship to Amazon. Then If you sell a bull pack of 10pcs the single cost will be es.60€ and if you sell to a single customer the price is 100$. Someone told me that you have to declare the selling price, but in this case the customs fees will be really high! More than 4times more! Hope that this is right! BR and tks again! Vincent: I’ve checked with a few accountants about this, and because of the nature of Kickstarter, the amount you should declare is the manufacturing cost, not the reward price. This is really good news, as it means our backers will have to pay considerably less in customs fees than I imagined. It might actually get our game below the VAT radar in some countries. Thanks for having such a fantastically comprehensive knowledge-base here! Hey Jamey, just curious what prompted you to switch from Impressions to Greater Than Games? Was there a negative experience with Impressions, or just a more positive experience with the switch? Seth: Impressions is great! But Greater Than Games is in St. Louis (a 15-minute drive from my office), so it’s much more convenient for me. Hi Jamey, I’m busy comparing the various US domestic fulfillment options and have a couple questions about Amazon. The Order Handling component of the Amazon fees is charged per order. Does that mean the customer can purchase 3 units of your game and the order handling fee is the same as if they ordered a single unit? Also, does Amazon charge any additional fees for the packaging box/material they use, it isn’t clear on their site? Their fees seem to be the most reasonable by far for bulky items when compared against the likes of Shipwire, who aren’t competitive on the shipping component. Thanks again for all the information you share. It’s a truly awesome resource and much appreciated. Calan: Thanks for your questions. Order handling is for the overall order, not per unit inside the box. To my knowledge Amazon does not charge any additional fees for packaging other than what they list on their site. I know this is an old entry, but I didn´t know where to place that question, so here we go. Yo have been speaking about using Dimerco as a company to pick the games from Panda and send them to the logisticall centers of Amazon in USA and Europe right? why don´t use that service? It´s cheaper Dimerco than Panda? or, why choosing Dimerco instead of Panda? I thought that if Panda can make that proccess, it´ll be easier just make an agreement with Panda to send the games than using another third one in the process. Can you help me here? I just asking myself why, maybe Panda service is not good? Alvaro: Thanks for your question. Just to clarify, Panda is strictly a manufacturer. However, they do have a freight forwarder they work with on a regular basis (I can’t remember the name). That freight forwarder does exactly the same thing Dimerco does. I haven’t used that service, but I have gotten price comparisons in the past, and Dimerco has been slightly more cost effective (however, depending on time of year, size, weight, etc, I’m sure there are times when the other company is cheaper too). The key is that you should ask Dimerco for a quote and then get a similar quote from Panda’s freight forwarder to compare them. Panda has worked with Dimerco many times, so the process is equally smooth with them as compared to their freight forwarder. Keep in mind that I have no vested interest in Dimerco. I just know how amazing they’ve been, and I only want the best for my fellow creators. I understand what you are saying, if you have been working with Dimerco and they do their job quite well, there is no need to stop using them. I will contact Dimerco to have a clear view! Hi Jamey, thanks for the wealth of information provided here. There is something I wanted to check, I think the answer may be obvious but wanted to be sure! For our KS campaign, we’ll be based out of the UK. Does this mean we’ll need to register as a business in the US to use Amazon US fulfilment? I’m guessing it’s a similar situation to Amazon CA (for fulfilment, no need to register but if you plan to sell via Amazon post-campaign you do). Bevan: It’s been a while, but I think I had to register my business in Canada to us Amazon.ca multi-channel fulfillment. You can try to sign up without it, but I would suggest trying now so you have plenty of time to register a business if needed. I can’t say for sure about the US, as my business was already registered here. Thanks Jamey, much appreciated. I’ll do some research and post my findings. Is the VATs declared value its manufacturing cost, what the KS backers paid, or the final retail price? Josh: Thanks for your question! The VAT you’ll need to pay is the import VAT, which is based on the manufacturing cost of the product. Thanks for the fast response and for clearing that up for me! Really appreciate it. When ship from China manufacturer to fulfillment service provider in other China city, we were told need to pay import tax since since the goods are not exported directly but ship to another China city. Wonder how to solve the issue? Jeffrey: You paid import tax when the goods arrived at the other Chinese city, even though the product was made in China? SUCCESS!! I have been long overdue to follow up and report that everything Jamey has lined out in the post and the huge stream of comments works. To recap, we launched a successful Kickstarter for Transylvania: Curses & Traitors in May of 2014. We delivered all of our games by around June of 2015 worldwide. We used all of Jamey’s advice. We worked with Justin Bergerson from Dimerco (now with OTX Logistics), used Amazon US, Amazon Canada, and Amazon UK, and then used USPS for all other countries. Everything worked out great and all the games made it to backers. I have a couple quick things that I learned that I wanted to share. 1. UK: I had an importer of record lined up in the UK who fell through and was not available when I really needed them. Luckily, I had already registered for my own VAT number. I found out during this process that you cannot register your US business in the UK without a physical UK address (so don’t try!). However, you can register for a VAT number (they will take your money!). Also, along with a VAT number you need to register for an EORI number also through HMRC. With my VAT number, EORI number, and working with Dimerco, that was all I needed. I have found that doing your own VAT taxes is not that big of a deal and you can pay and file your returns online with the HMRC. It is not what I would call user friendly and can be a headache but it is doable. 2. Canada: If you have less than $30,000 of sales in a year, you do not need to register to file taxes. You do need a business number which is easy to register for. However, if you do register to file for taxes and then do a small amount of business or even none at all, then you must file or pay penalties. Weird right? (Unfortunately, I was too thorough and cost myself a few hundred dollars). This post and all the detail that follows is really enough to get the job done. Thank you so much for sharing your insights about your shipping experience! I’m going to update the post with the part about VAT, which is really helpful. I read this : Webstore Sellers cannot use FBA Export at this time. videos, and DVDs (BMVD products) only. Does it mean I cannot use FBA to fulfill my orders anymore? My mistake, the article clearly stated it’s only domestic. I’m creator based in Europe and I have been thinking on saving all the EU hustle by producing MOQ of my product in 1 European manufacturer to cover EU backers and use Panda to produce the product for US customers. Both products would be identical only produced by 2 different manufacturers. Has anyone tried to do this before? Hi Viktor! That’s a great strategy. Hopefully you’re able to get both manufacturers to use the same cardstock and moulds. I’ve tried to do that with Euphoria–Panda produced the first print run, and Ludofact produced the second. It worked out okay. With probably 1500 MOQ from both companies this would be the gamble of my life. Thanks! Jamey, your articles and your communications skills are very good. I’ve been reading them since some time. Nowadays I’m dealing with International Shipping to help an Italian KS with delivery costs, but the other way round (that is, from Italy to the USA/Canada). What I managed to get was a quote for the USA for shipping pallets towards the USA (but only one, and I’d like to find more), but it’s very difficult to find more to be able to haggle prices and find the best cost for our backers. Its cheaper to do this yourself than use an accountant ie in germany. Thanks a lot for the info and the link. However, you still need an UK physical address for the company, right? First of all – thank you so much for all the Kickstarter advice you have on your blog. It’s been our bible these past few months. I had a question on shipping to the UK. VAT seems to be taking up a huge amount of our costs and we have to hike up the price of our products by 20% to ship there. How did you manage this please? Roobini: We pay VAT on the manufacturing cost of our games, not the reward price on Kickstarter. Hey Jamey, thanks for taking a minute to answer this question. It is an interesting answer! My accountant recommends that I pay VAT on the Kickstarter amount, not the manufacturing cost. It sounds like I need to change accountant or convince him he is too conservative. What’s the base demonstration, when audited, that it is the right way to do it? It may have been mentioned before, but I just checked Amazon UK fulfillment, and they will send to the rest of Europe including Germany without having to send to those other centers. It costs more but still much cheaper than sending from the US. For someone such as myself who hasn’t done this before, having simplified shipping for Europe sounds very nice and I assume avoids all that hassle with multiple centers and multiple registering as a business and the Germany issues mentioned. I have been reading your posts and find them very interesting. I was wondering, how it comes, that you “only” speak about the VAT on the import side, based on the “manufacturing value”, and not only on the “sales side”. 2. the EU creator imports the goods (rewards) in bulk into the EU (either his own premises, warehouse or in a 3rd parties warehouse of a fulfilment company like the ones shown in Jamey’s blog. The freight company that takes care of the shipment from Asia to the EU, will most likely customs clear the goods on behalf of the creator; paying the VAT on the import value based on the supplier’s invoice (NO threshold) and eventually import duties. Seen the import is done in bulk for the complete shipment, the actual cost per item for admin fees is very small, so is the cost of shipment per good compared to single shipments as in #1. The “warehouse” company or creator put good in stock, and can ship the individual goods to the backer (or have that done by a EU based fulfilment company). Normally, the invoice for the backers should be based on the actual sales price + 20% VAT. Why ? Because the VAT is “value added”. So, this means that at some point, the Tax administrations in the country where the creator company is based, and even in other EU countries where the creator has goods shipped to the backers, MAY ask for their 20% VAT. So, I CANNOT understand the case, where a the accountant only bases the VAT on the import value. Company A from the EU, ships a 20′ container from Asia with 1000 pieces of their game to the EU. Value 10.000 USD (based on Asian manufacturer’s invoice). Ocean freight: 1.500 USD. EU customs will check if the game is subject to duties (based on the international tariff) and country of origine and the VAT. We presume that the duties are 0; VAT 20% = 2.000 EUR (for the same of simplicity, we presume an exchange rate 1:1). Transportation and customs clearance fee from the port to the EU warehouse: 1.000 Eur. Total Landed Cost in the EU warehouse: 14.500 EUR => 14,5 Eur per game. If the creator shippes now the goods to the EU backers, the let’s say 50 Eur VAT included, so the VAT is 20% from 50 Eur (calculated backwards => 50 – 50 / 1.2 = 50 – 41,6666666 = 8,33 Eur), Do NOT make the mistake to calculate ” 50 * 20% = 10 “. Presuming all 1.000 games were shipped, the amount of VAT due is 1.000 x 8,33 = 8330 Eur. Since the company already paid 2.000 Eur when importing the games into the EU, the balance is 8330 – 2100 = 6230 Eur of VAT to be paid. Most of the times, the respective tax administrations in each EU country a company sales to, have a threshold, beyond which companies from other EU countries do NOT have to apply the countrie’s VAT rate (meaning the VAT of the country of invoicing is applied). Above a certain level, the VAT of the country of the backer is applicable (this is where it gets complicated… very). For sales of immaterial goods (digital goods – software, music), the rule of taxation of the VAT of the coutry of destination already applies. All in all, quite complicated. Bottomline, what I wanted to point out, is that those who think that they can just pay VAT based on a low import value, and not based on the actual sales value… will probably get a bad surprise sooner or later… (maybe never, if they are lucky). If someone have other ideas / own experiences, please feel free to share. Some Asian fulfilment companies seem to have made special agreements with carriers / postal services to allow a prepayment of the VAT on behalf of the creator. In this case, the backer shall receive the goods without having to pay any additional costs. The cost for the VAT invoiced by the fulfilment company to the creator. I have no experience in this. I wonder if these systems run smoothly, or if backers may still get some bad surprises, in case the value is f.ex. above 150 Eur (and a theoretical customs clearance … and fees linked to that — may be due). Anyone an idea / experience ? Roger: That’s a very detailed question! So far, the question of VAT for games imported in bulk to Europe has been a bit of a gray area, but with the huge rise of Kickstarter, I suspect that the EU might have stricter guidelines about whether or not creators need to pay VAT on the manufacturing cost vs. the reward price. I’ve actually been corresponding with an accountant in the EU about this matter, and he’s trying to figure out the exact guidelines. I’ll report on them when we have some hard data about this. Based on my experience so far, though, it’s worked out exactly how I mentioned above: Creators who bulk-ship rewards into Europe pay VAT upon entry based on manufacturing cost. Backers pay no VAT. I wonder if you (or the company you used to dispatch the games inside the EU – after customs clearance based on the manufacturer´s cost) had to provide any invoice or document to follow the rewards? Or did they just send out the perks without any document from Stonemaiergames ? It is a tricky matter. I am looking forward to getting to know what your bookkeeper thinks about it. I sent them a request by using their contact form. No response after till today. Would you have their contact details ? ( there are no emails, addresses, phone etc. available on the homepage https://ideaspatcher.com/ – looks a bit dodgy). Roger: I think our fulfillment companies list the manufacturing cost on their shipments, but they don’t include a full invoice. Oh – thanks for that ! Now I understand why they have no contact details on their own homepage. Any suggestions who to chose in the EU with your current experiences? I’ve been using Spainbox over the last month and have had a good experience with them. I’m also testing out Gamesquest next month. Great info here. Does anybody know roughly how the costs compare when shipping to multiple fulfillment centers vs. all in one shipment to the U.S.? 10% more? 30? Reed: If you’re just talking about the freight cost, you’re maybe talking an additional $1 per game. But in terms of cost per game, full shipping cost to the backer, it’s often a savings of 200-300% compared to shipping internationally from the US. Yes i was looking for freight cost. Thanks! I ended up researching on supplies I would need and try to cut costs there. Then I would raise my price and still offer free shipping but was compensated by adding it to the price. I buy most of my supplies from twinsourcesupply.com and they also customize my boxes which helps bring in more feedback by creating a wonderful unboxing experience, including a personalized thank you card. What do you think? I have been reading your blog for a while now and it’s amazing. I have a question about barcodes. Where do you buy them from? I read that speedybarcodes.com for example is a scam and I need to buy them from GS1 which seems counterproductive as they have membership fees and the barcodes are expensive. I get it that you need to buy 1 single barcode for 1 game (unless you have variations of the game) but where do you buy them from, so that they can be legitimate (UPC) for retailers around the globe. I’m hoping I can get some clarification on worldwide shipping options so I’m able to offer my product to worldwide backers. My product is 13″x13″x10″ shipping dimensions and has a calculated weight of 10 lbs. The quotes I received using DHL, and Fed Ex, were too high to consider. Even sending the goods to several countries using freight, then shipping within the country still came back as too high to consider. I also thought of the using Amazons fulfillment centers, but the message they sent me below tells me it’s not an option since I’m not selling a Book, DVD, Music, or software. Has Amazon changed their rules since you wrote the article? or am I missing something? “United States, Canada, and the European Union: You’re going to be shipping pallets of games from your manufacturer to several different locations worldwide: Amazon.com in the US, Amazon.ca in Canada, Amazon.de in Germany, and maybe Amazon.co.uk in the United Kingdom”. Thank you for your interest in Amazon’s fulfillment services. Multi-Channel Fulfillment is a Fulfillment by Amazon service that enables you to fulfill orders from sales channels other than Amazon.com using the inventory that you have stored in an Amazon fulfillment center. Only Media (Books, Music, DVDs, Software) products are eligible for International Shipping through Multi-Channel Fulfillment. Paul: It’s been a long time since I shipped through Amazon, but those rules sound consistent with what I knew to be true of Amazon several years ago. Like, if you want to ship something to backers in Europe, you can use Amazon, but it must be an Amazon in Europe (not Amazon.com in the US). Each and every bit of this is so helpful! Wow just a stack of information here to think about like barcodes, SKU and even being cognisant of box sizes for postage, definitely going to have to watch the other videos of Aldo Ghiozzi as it looked like he went into other facets of crowd funding too. Also the link to the podcast between you and Richard Bliss is broken/doesn’t exist anymore. Thanks Chris! I’ll see if I can find the new URL (if there is one). Hi everyone! Does anyone know more about this kind of business that offers free shipping? There has to be a fee somehow. Any thoughts? Ray: There’s no business that offers free shipping–please read the article on this page. Guys, I just checked Shop2Ship out. Looks legit. Any of you guys ever used it for parcel forwarding?